IN 2013, Pakistan ranked 135th out of 136 countries in the Global Gender Gap Index Report of the World Economic Forum. In 2014, eight more countries were included in the report, but Pakistan remained second last at 141 out of 142 countries. It is significant that Pakistan ranked at 112 in 2006, the first year of the report, and since then, its position has been steadily deteriorating every year. Even in the ‘Political Empowerment’ sub-index of the GGGI report, Pakistan had slipped from 64th place in 2013 to 85th in 2014 due to the weakening of women’s position in parliament. In comparison, Bangladesh was at 68th position, while Rwanda and Burundi ranked as seventh and 17th respectively. These three are low-income countries, while Pakistan is rated as a low middle-income country. The main purpose of the GGGI is to provide a framework for measuring gender-based disparities in different countries and tracking their progress in four key areas: access to economic opportunities, political representation, education facilities and health services. Since the first global gender gap index in 2006, about 80pc of countries have managed to reduce their gender gaps. On the other hand, there are a few countries that have either made no progress, or are even falling behind their previous rankings. The situation in the country is steadily deteriorating for women who continue to be sidelined in mainstream economic activities. In Pakistan, the situation is steadily deteriorating: women remain sidelined from mainstream economic activities mainly due to the dominant religious and patriarchal ideology that continues to confine, subjugate and violate their space despite their having equal rights under the Constitution. The percentage of female employment in the non-agricultural sector in Pakistan was last measured at 13.2pc in 2013 by the World Bank. Needless to say, this percentage is abysmally low. It is also one of the 10 lowest-performing countries on the GGGI sub-index of ‘Economic Participation’ and one of the three countries with the lowest percentage of firms with female participation in ownership. Before the 18th Amendment, the ministry of women development, social welfare and special education used to work on issues related to the improvement of women’s status in society, and implemented the global agenda of CEDAW (Convention on the Elimination of All Forms of Discrimination Against Women) and the Beijing Platform for Action in conjunction with forums such as the UN Commission on the Status of Women, the Commonwealth, UNIFEM and UNDP. During its existence from 1979 to 2010, the ministry took many initiatives designed to improve women’s access to education, health and legal services, and enhance their participation in the political economy of the country. For example, it was on the recommendations of this ministry that the principle of reservation of seats for women in the National Assembly and the provincial assemblies was revived and their representation ensured in the local bodies. The First Women Bank Ltd was established with the ministry providing credit lines for micro-credit facilities for women to set up bakeries, boutiques, beauty parlours, catering centres, tuition centres, grocery stores, and poultry, dairy and fish farming. Women study centres were established at various universities, while skill development centres, women’s polytechnics, computer centres, literacy centres, crisis centres for women in distress, child care centres and working women’s hostels were set up in different parts of the country. Subsequent to devolution, the ministry was dissolved and its functions transferred to the provinces which do not appear to have the capacity or political will to develop an alternative narrative to the rampant obscurantism proliferating throughout the country. The state needs to emerge from its stupor to stop this shameful slide of half of its population into the dark ages, keeping in view not only global requirements, but also its own economic imperatives. In order to improve outcomes for the women of Pakistan, the government needs to create a new organisational mechanism on the pattern of World Economic Forum’s gender parity task forces for Turkey, Japan and Mexico to reduce national gender gaps in three years. These task forces comprise members of the government from the relevant ministries of gender, human rights, law or population welfare in each country, and representatives of private-sector organisations and corporations. This composition allows for greater dialogue between the government and the private sector to discuss the rationale behind reducing gender disparity, developing a common vision and aligning all stakeholders in a well-articulated policy framework, so that realistic targets can be set, strategies chalked out, and benchmarks introduced for mobilisation, accountability and impact. The recommendations of the Gender Parity Group are available for any country that wishes to improve the status of women in their own national interest. These are based on best practices such as women-focused education and health initiatives, mentoring and training women for high-level professional positions, flexible working hours, salary parity, career planning, etc that can be implemented through government policy, legislation and private-sector support. Top-down approaches towards promoting women’s leadership have also been very successful. For example, in Norway, public-listed companies are required to have 40pc women on their boards. 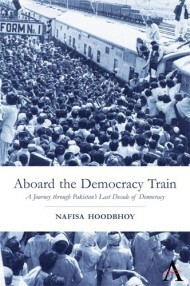 Some top-down policy measures can be taken immediately by the government in Pakistan, such as announcing high job quotas in the civil service, accelerated promotions, nominations to high-profile positions in the public sector, and making it mandatory that women are represented in greater numbers on the boards of private-sector companies, banks, chambers of commerce and industry and other similar institutions. The private sector should also be urged to ensure that women are adequately represented in the employment force, including the supply and distribution chains of manufacturing companies. These measures, though only skimming the surface, will nevertheless increase women’s visibility, generate confidence, create role models and provide increased space for leveraging their access to education and health, the other sub-indices which are critical prerequisites for inclusive and sustainable economic growth. The writer is a former federal secretary. This entry was posted in Civil Society, Women. Bookmark the permalink. some great stuff. I share this oon my Facebook and my followers loved it. Keep up thhe gopod work.